Is your child at risk for the wrong diagnosis? An Institute of Medicine (IOM) study found that 12 million Americans receive the wrong diagnosis each year and that nearly every American will experience at least one misdiagnosis in his or her lifetime. The IOM study focused on adults who received the wrong diagnosis, but some researchers believe the problem could be just as significant for children and teens. 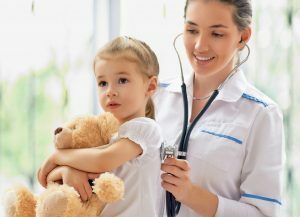 Data from a large medical malpractice insurer found that while pediatricians were sued for malpractice less often than other physicians, when they were sued, 61% of the time it was because of a wrong diagnosis. In addition, a study in the journal Pediatrics found that 54% of 1,300 pediatricians surveyed admitted to making at least one to two diagnostic errors a month. What puts children at risk for the wrong diagnosis? One of the key sources of information that all physicians use to make diagnoses is information provided by patients about what symptoms they’re experiencing, how long they’ve had the symptoms, and what makes the symptoms better or worse. While parents can supply some important information about their children’s symptoms, children themselves often don’t know something’s wrong or don’t have the vocabulary needed to tell parents about how they feel unless they’re suddenly in pain or have obvious symptoms like vomiting, so symptoms may go unreported. In addition, adolescents and teens may not tell their doctor all the pertinent information needed to make a correct diagnosis, such as alcohol and drug use, tobacco use, sexual activity, or even something as simple as hitting their head as a result of a skateboard accident. Without a complete medical history, it’s far more difficult for your pediatrician to make an accurate diagnosis. Because pediatricians are generalists, they may not be familiar with less common medical problems or be aware of the latest evidence-based treatments. This can also increase the risk of a wrong diagnosis or inappropriate treatment. Wheezing and shortness of breath can be caused by asthma, but may also be caused by allergies, a blood clot or tumor in the lung, and panic attacks. Some of the symptoms of appendicitis, which is misdiagnosed 25 to 30% of the time in children, are also symptoms of Crohn’s disease, gastroenteritis, and irritable bowel syndrome. Lyme disease symptoms such as headache, muscle aches, nausea, and swollen lymph nodes can also be caused by the flu. The difficulty with attention and focus that are common symptoms of ADHD can also be caused by a learning disorder, obsessive compulsive disorder, and anxiety. Some doctors have also noted that children with sleep apnea and other sleep disorders often have symptoms that are misdiagnosed as ADHD. Sadness, fatigue, and difficulty thinking clearly may be caused by depression, but can also be symptoms of hypothyroidism. Get a second opinion from an experienced specialist. If your child is diagnosed with a serious, rare, or chronic condition, seek a second opinion from a physician who has experience treating the condition. Provide your child’s doctor with as much information as possible. In addition to telling your child’s doctor about the specific symptoms you’ve noticed, make sure he or she has access to your child’s complete medical history as well as information about any family history of health problems. Ask if the symptoms could be caused by another health problem. Find out what other possible conditions could cause your child’s symptoms, how confident the doctor is with his or her diagnosis, and what evidence the diagnosis is based on.